Founded in 1911, Beach Cooperative Grain Company has been building customer loyalty and a reputation for quality for well over 100 years as one of North Dakota’s last independent, full-service grain cooperatives. Levi Hall has been the general manager at Beach Cooperative since 2015. Growing up on a small cattle operation, Hall’s interest in agriculture only increased during his time at North Dakota State, where he spent his summers interning in agronomy and grain. 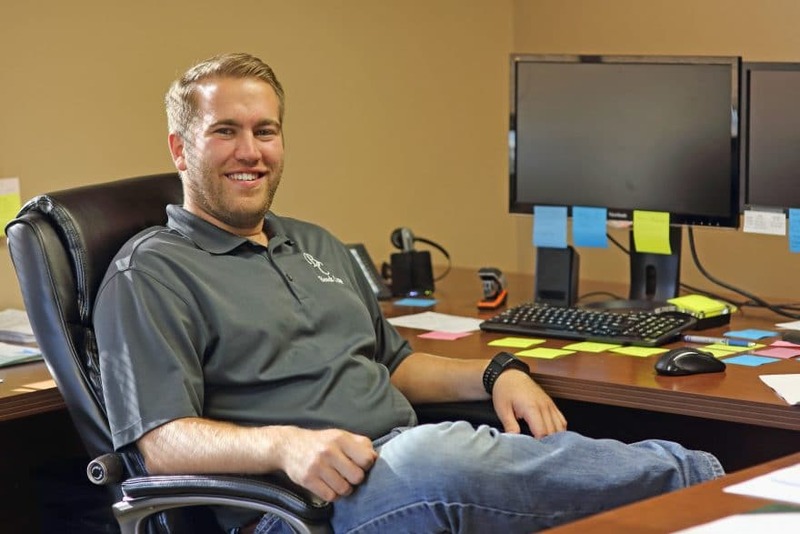 After graduating with a degree in agribusiness, Hall joined Archer Daniels Midland and from there, found a home at Beach Cooperative. As general manager, Hall is now a part of a company with a long history of independence and customer satisfaction. “We’re one of the last independent cooperatives around,” says Hall. “The cooperative structure and local aspect really set us apart from other companies.” Beach Cooperative’s independent business was formed back in the early 1900s, when Beach, North Dakota was a town experiencing unexpected celebrity across the Midwest. Beach Cooperative was founded in June of 1911 after a group of farmers, led by Fred A. Powers, F.J. Hill and George Oech, joined together and decided they needed a cooperative to market their grain. At the time, the town of Beach, North Dakota had just been thrust into the national spotlight in April of 1911, after the visit of then ex-president, Theodore Roosevelt. Roosevelt caused a stir in the region by commenting on the lack of farmable land in Beach, even going so far as to express surprise at the town’s existence, based upon the difficult and unforgiving land. The backlash of Roosevelt’s comments resulted in an increase in local pride, and while not necessarily a direct connection, the founding of a grain cooperative by frustrated farmers less than two months later seems like more than just a coincidence. Especially when that cooperative went on to maintain independence over 100 years of providing quality product to an intensely loyal customer base. Even after a century, the wooden building that originally housed grain at Beach Cooperative is still in use today. Back in its founding, there were up to eight wood houses along the railroad for grain collection. In 1918, the company changed to their current name, and shortly after 1938, Beach Cooperative built an annex to accommodate the growing demand of their clients. 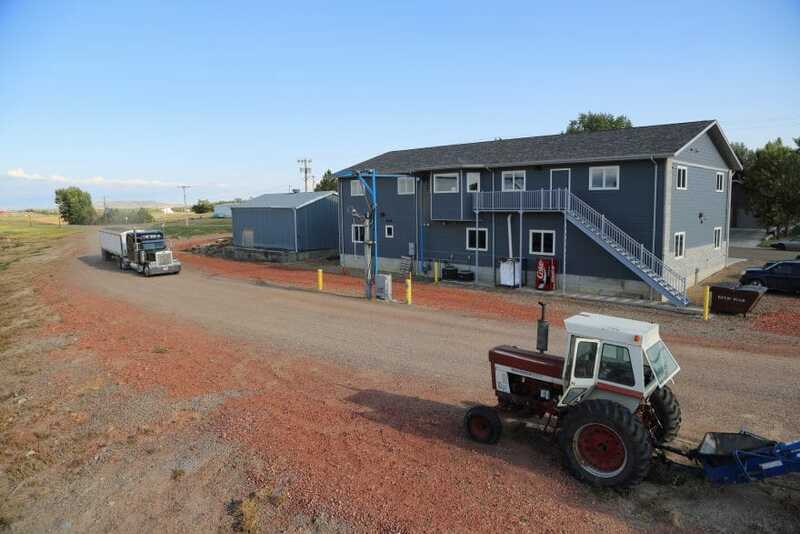 By December 2015, Beach Cooperative had opened its second location in Baker, Montana. Progressive and independent to the core, the company’s two locations employ approximately 16 people between them. The company pulls grain from up to 70 miles away to satisfy the needs of its patrons, but focuses on buying primarily from local dealers. The company pulls grain from up to 70 miles away to satisfy the needs of its patrons, but focuses on buying primarily from local dealers. 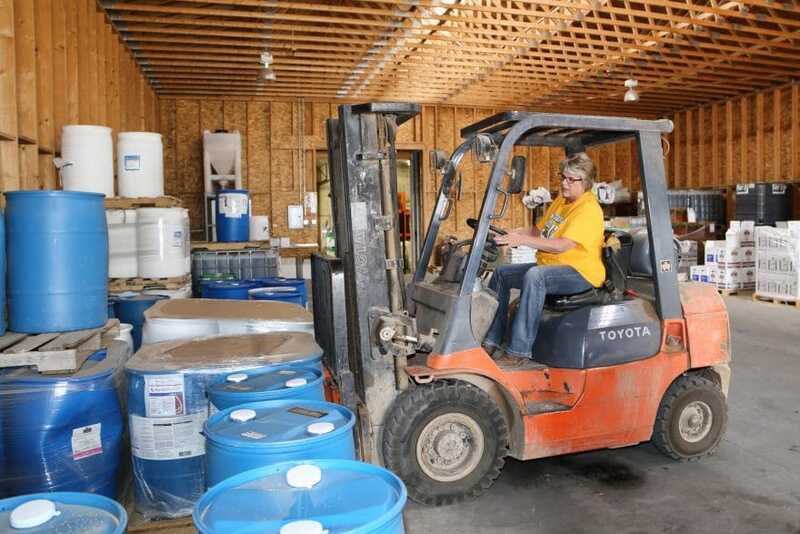 “We buy grain from local farmers, and sell wheat to mills or export,” Hall explains. “We have durum that goes out to pasta makers, and a small amount of corn to feedlots across the United States.” Beach Cooperative also sells peas and lentils to export, but have seen an increased domestic demand from the growing market of pet food processors. “People have become so efficient at growing the grain,” Hall continues. “It’s tough for farmers and grain companies right now. We’re excited to help meet the challenges coming up, and determined to help the farmers through it,” Hall says. With over 100 years in the business of local loyalty and customer satisfaction on a national level, it’s unquestionable that Beach Cooperative Grain Company will continue to provide its patrons with the best quality grains for years to come.